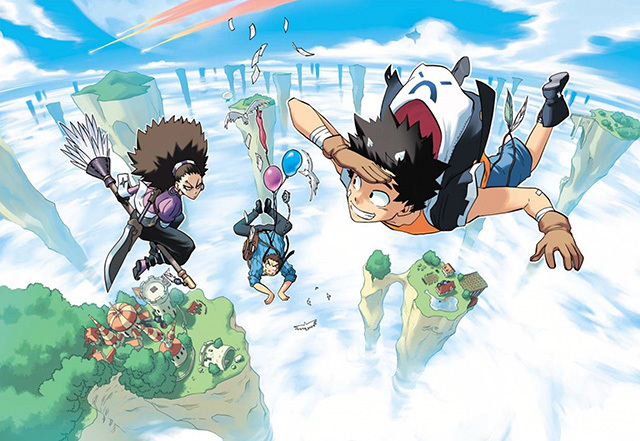 Ankama Editions has been shaking up the bande dessinée, comics, and manga scenes ever since it began publishing in 2006. Mediatoon Foreign Rights is proud to represent rights for the entire Ankama catalogue, which is bursting at the seams with hard-hitting, no-holds-barred, explosive graphic works like the “Mutafukaz” series and “Radiant,” a fantasy action series by Tony Valente, the first French manga author to be published in Japan. What’s more, an anime adaptation of “Radiant” is coming out this very week through the Japanese studio Lerche. In the mini-newsletter below, you’ll find a selection of our favorite Ankama series. Ask us about rights availability and reading copies for your language, and make sure to brace yourselves for a wild ride through the world of independent French manga and more.